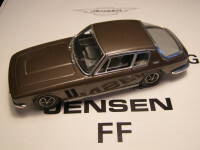 Item description: Undoubtedly the most accurate and best quality model of the Jensen FF, is the Enco model of the 1980s. Enco only survived for a short while, but the models they produced were of breathtakingly good quality. 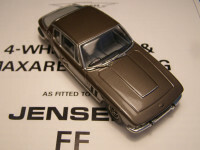 The 1/43 scale Jensen FF model is based on a MK.II FF, and is very accurate. 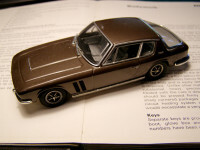 The company produced finished models, which were painted either in white or metallic brown. 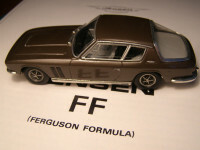 However, they also sold kits which could be built and painted by the customer. This example is a rare Enco finished model in metallic brown. Condition report: Close to mint condition. No box. Background to Enco: Produced from late 1970s / early 1980s. 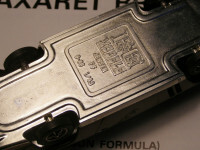 Known for producing low volume high quality scale models, pitched at the higher price band.